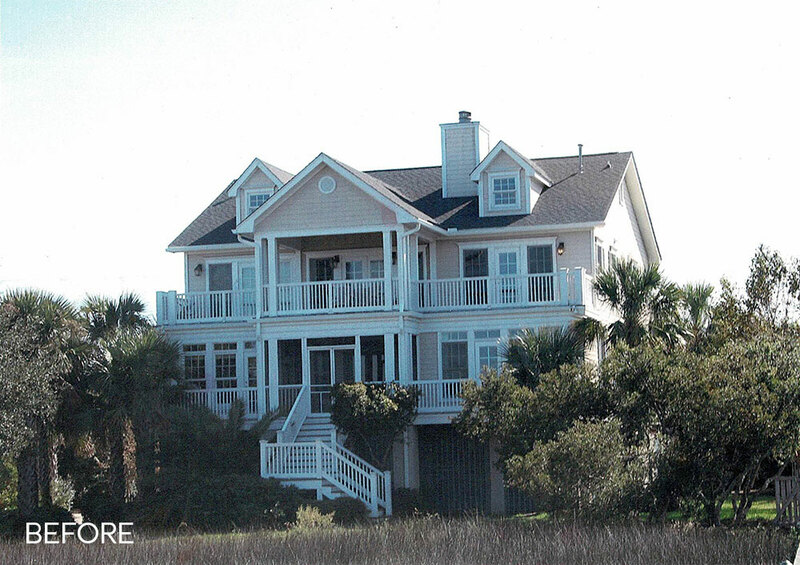 This renovation on Isle of Palms overlooks Hamlin Creek and the waterways beyond. The design goal was to open up the floor plan and redesign the interior spaces. 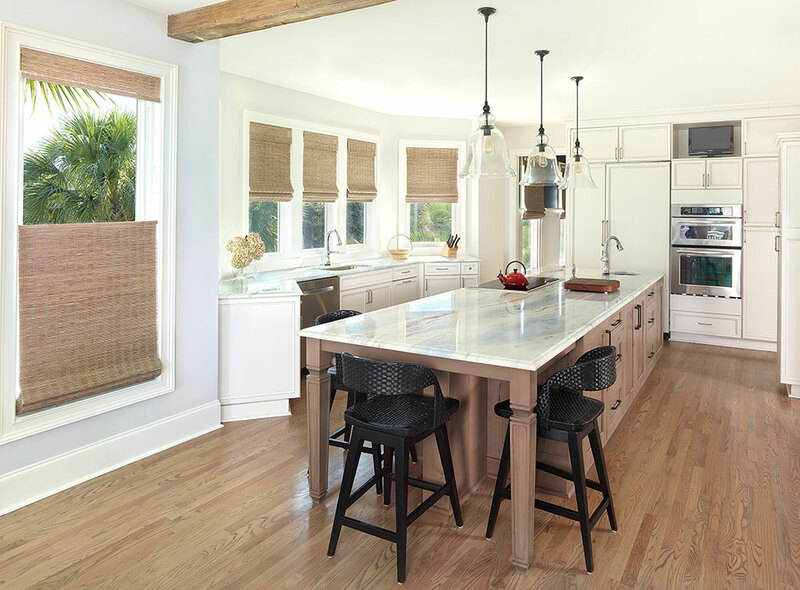 A key feature of the remodel was opening up the living room to the newly redesigned kitchen and dining area. These spaces each flow out onto a large deck that was reworked to allow for a new above ground pool. 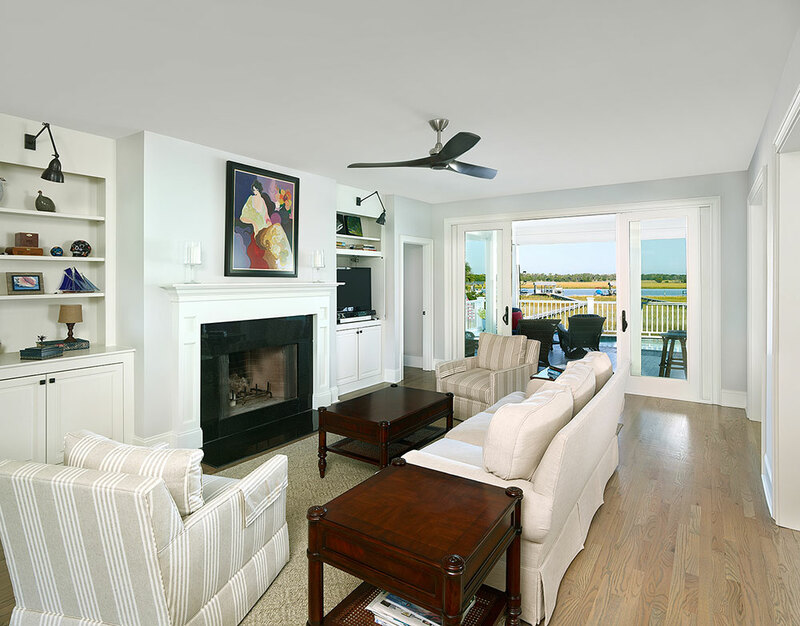 On the second and third floors, a new entertainment room and accompanying porch were created overlooking the water. 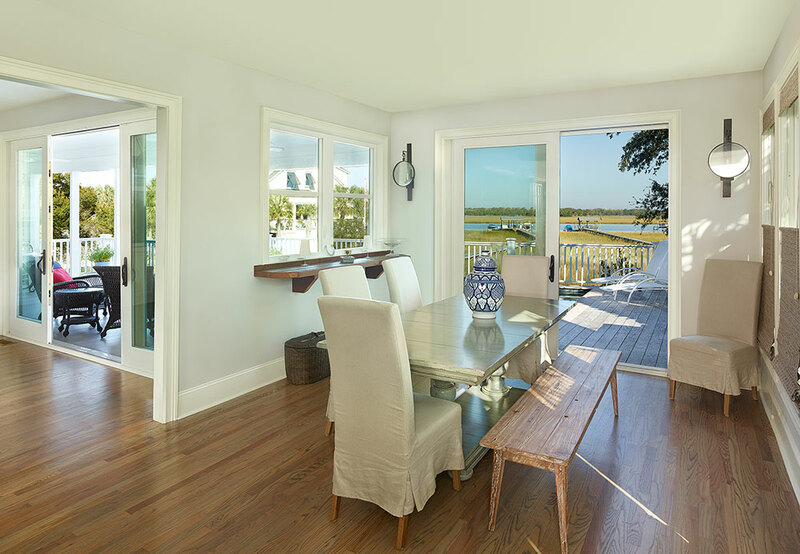 The attic space was transformed into large 3 large bedrooms, each with their own views of the water.